How to find: 1st (administrative and laboratory) building, 3rd floor (see Map and Institute scheme). Vadym Biloshytsky born November 11, 1969. Graduated from Vinnitsia Pirogov Memorial Medical Institute (1992). In the years 1992-1995 held an internship on neurosurgery at the Vinnytsia neuropsychiatric hospital №1 n. acad. O.I. Yushchenko and Kiev Institute of Neurosurgery. Completed training on neuromodulation techniques in clinics of Professor V.A. Shabalov (N.N. Burdenko Institute of Neurosurgery, Moscow, Russia) and Professor Tipu Aziz (John Radcliffe Hospital, Oxford, UK), methods of pain medicine in pain clinics of Guy’s and St. Thomas Hospital, and University Colledge Hospital (London, UK). Neurosurgeon higher category. PhD (1998). MD (2012). Worked as a neurosurgeon with emergency aid at Vinnitsa City Hospital №2 (1995-1996). Since 1996 works at the Institute of Neurosurgery as a neurosurgeon of neurotrauma clinic, researcher, senior researcher of the central nervous system injury department. Head of the central nervous system injury department (2013). Deputy Director for Research of the State Institution “Institute of Neurosurgery n. acad. A.P. Romodanov NAMS of Ukraine “(2013). Member of the Ukrainian Association of Neurosurgeons, European and World Associations of Neurosurgical Societies, International Association for the Study of Pain (IASP), Ukrainian Association for the Study of Pain and Ukrainian pain management society. Associate Member of the World Institute of Pain (WIPain). 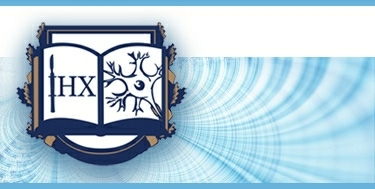 Member of the Presidium of the Ukrainian Society for Neuroscience. Executive Director of the Public scientific organization «Ukrainian Institute of Pain Research». Member of the editorial board of «Ukrainian neurosurgical journal». The main directions of research and practice: neurotrauma, gene therapy, pain medicine, history of neurosurgery. Author and co-author of over 100 scientific publications, including monographs “50 лет отделению нейротравмы Института нейрохирургии АМН Украины» (юбилейный буклет, 2000 р. ); “Нейрохірургічна служба в регіонах України” (2005); “Киевская нейрохірургия в довоенные годы” (2009); sections “Генная терапия при черепно-мозговой травме: экспериментальные данные и клинические перспективы” in the 3rd volume of “Клиническое руководство при черепно-мозговой травме” (2002) and «Gene therapy in brain injury: problems and perspectives »in Potapov A, Likhterman L, von Wild KRH (ed): Neurotrauma. Epidemiology, prevention, new technologies, guidelines, pathophysiology, surgery, neurorehabilitation. Moscow, The N.N. Burdenko Neurosurgery Institute (2002); Guidelines and Protocols of care for patients with traumatic brain injury.